We often see boats on the lake. We also frequently encounter dogs on the road around the lake. 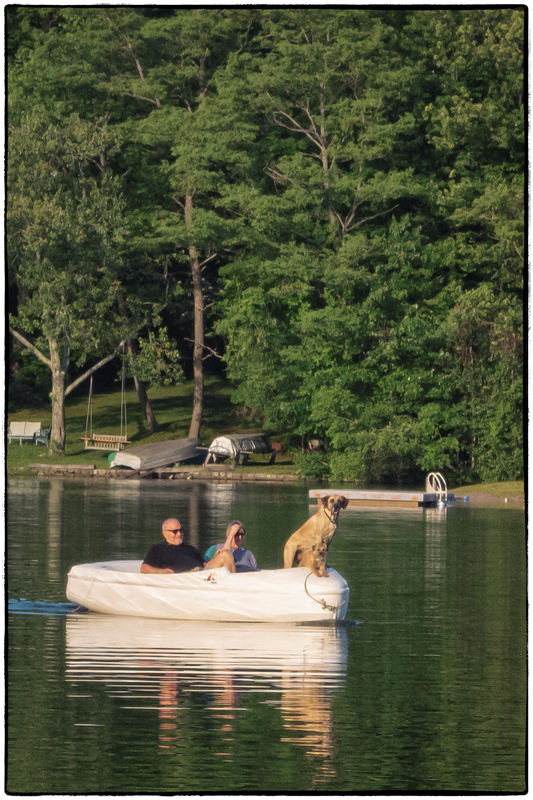 But it’s not often that we see this combination of the two: dogs on a boat. This entry was posted in Landscapes, Wildlife & Animals. Bookmark the permalink.